The Epicurean Way road trip is the ultimate foodie pilgrimage, taking travellers through South Australia’s iconic wine regions: McLaren Vale, Clare Valley, the Adelaide Hills, and the Barossa Valley. While these regions are each uniquely charming, they all share a commitment to showcasing fresh, local produce, and a proud heritage as world-class food and wine destinations. This road trip will invigorate your tastebuds and reveal to you some of the lesser-known treasures that the South Australian coast and countryside have to offer. Mediterranean – making McLaren Vale a top destination for lovers of shiraz, grenache, chardonnay and cabernet sauvignon. While McLaren Vale boasts more than 70 cellar doors, the McMurtrie Mile Experience is the region’s most famous wine trail. From McLaren Vale, wind your way north-east to the tranquil Adelaide Hills, located just an hour away. 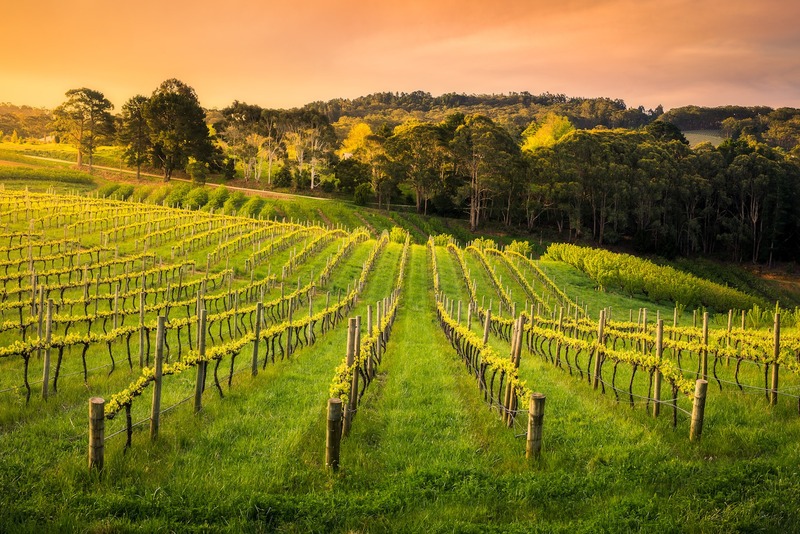 Adelaide Hills is home to some of Australia’s best cool-climate wines, an eclectic range of breweries and cider houses, and cosy restaurants with innovative menus that invite you to linger all afternoon. Local producers are at the helms of the region’s most notable gourmet establishments, including the Brezel Bakehouse, Prancing Pony Brewery, Lobethal Bierhaus and Red Cacao Chocolatier, and have all helped to reinvigorate the Adelaide Hills food scene in recent years to rival the other South Australian wine regions. The combination of the Barossa’s sumptuous food offering, world-class wines and five-star retreats makes it an irresistible escape from the real world. Barossa Valley’s gourmet destinations will have you spoilt for choice, but Maggie Beer’s Farm Shop, Hentley Farm, Penfolds Barossa Valley Cellar Door, and Jacob’s Creek Visitor Centre are among the region’s most popular drawcards. The Barossa Valley is steeped in history and culture; from concerts and food festivals, to vibrant community markets and art exhibitions, there is always something to see and do for people of all ages.